When it comes to casino bonuses, online casinos are always trying to make sure that they provide better deals than their competitors, as a means of getting them to sign up and play casino games on their site. One thing that many new players notice when they first play at a casino online is the ever-changing nature of the industry, with casino operators trying to make improvements as a way of staying relevant in a highly-saturated market, as well as hoping to capture the imagination of new customers. There are plenty of factors behind the rise of online casinos, one of which is in the development and increased use of technology. The fact that players no longer have to travel to land-based casinos to play their favourite games, instead they can now play online, which is far more convenient due to its 24-hour accessibility and lack of time restrictions on gameplay. However, one of the main reasons as to why online casinos have grown in popularity are the impact that casino bonuses have had on the industry. There are so many bonuses now and they’re all different, from deposit bonuses, no-deposit bonuses, welcome bonuses and free spins. These bonus offers, regardless of what they are and what type of casino game they can be used for, have helped to entice new players to join a casino online. Here at onlinecasino.ie, we’ve looked at a number of casino bonuses to help you decide which online casinos are worth joining and signing up to and those which should be avoided. One of the bonus offers we’ve looked at is from Roxy Palace Casino and hopefully our guide will help you better understand what’s available on the casino site and what you can expect when you register, deposit and wager your money. At Roxy Palace, new players receive a first deposit bonus of 100% up to £100 and 50 free spins to use on Microgaming’s Highlander slot game. A first deposit bonus is fairly easy to understand. Players receive a bonus up to a certain value on top of the very first deposit they make on the site. Claiming your bonus is a very simple process and there’s a step-by-step guide on their landing page. 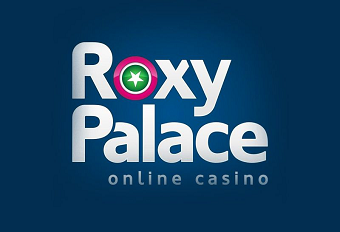 All you have to do is complete the registration form, then make a deposit either using a debit or credit card, or PayPal, and Roxy Palace will match it up to €100. As soon as you’ve done this, you’ll get 10 free spins to use on Highlander, then you’ll get another 10 free spins every day for the next four days when you log in. All of Roxy Palace Casino’s promotions are under their dedicated page, which you can access by clicking on the tab at the top of the homepage. There’s a live roulette bonus boost listed, where you can receive a 10% bonus on the world-famous table game, while you can also take part in Roxy Palace’s Players Club, which you’re automatically a part of when you sign up to the site and make a first deposit. One of the most thrilling aspects in the world of online casino is the ability to play all your favourite casino games while on the move, by playing on your mobile or tablet device. Mobile gaming allows players to enjoy all their favourite games and everything that a casino has to offer, whenever and wherever they want. Roxy Palace have a fully-functioning mobile casino, which you can play on all devices, including iPhone, Android and iPad. All you have to do is download their excellent App from the story on your device, and in no time, you’ll be enjoying some fantastic casino games on the go, including mobile slots, blackjack, mobile roulette and video poker. All you have to do is sign into your account using your smartphone or tablet. The app is easy to use and navigate around and features all the excellent graphics that you’d associate with Microgaming games. The introduction of mobile casino has revolutionised the gambling industry and has made gameplay much more accessible to casino-goers. As with any bonus or promotion, like free spins, jackpots and other cash prizes, it’s incredibly important to know what you’ve signed up for. With such importance placed on these, it’s vital that you always read the terms and conditions of the offer, regardless of what it is. Wagering requirements are a key part of any welcome bonus and these should be looked at before taking part in any promotion. These are requirements that you must ulfil if you are to unlock winnings from the bonus and make a withdrawal. At Roxy Palace Casino, you have to play through the bonus 50 times before making a withdrawal. Different games have different requirements, so it’s best to have a check through their guide which is listed on the website.